Getting yourself out of custody can be a difficult and stressful process. 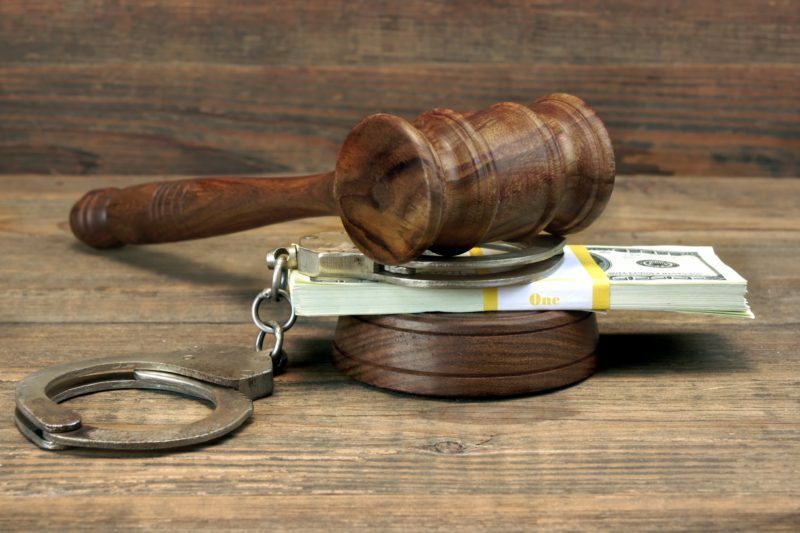 Thankfully, the bail system can help you or your loved ones out of custody fast, though you’ll want to have a basic understanding of the system before trying to secure a bond. Most people don’t know that there are actually a variety of bonds that can secure your release from jail, and those in custody need to pursue different options depending on their specific situations. The experts at Armstrong Bail Bonds want you to have all the information you need, which is why we’re going through the seven different types of bail bonds you need to know about. Cash bail is exactly what it sounds like, allowing those in jail to get out with a cash payment. In some instances, cash bail can also be covered by cashier’s checks or credit cards, though in most instances a corrections department will only accept cash. Of course, to cover cash bail you’ll need to have a large sum of money ready for the corrections department. Many people don’t have the thousands of dollars in cash necessary to cover bail fast, meaning they’ll have to turn to a bail bondsman for the assistance they need. When you don’t have the cash to bail yourself out, you’ll need help from a bail bondsman. The first, and most common, type of bail a bondsman will offer is a surety bond. This type of bond is secured by paying 10 percent of bail amount to your bondsman while also promising to show up to your court dates. Once you pay the 10 percent, the bondsman will cover the rest of your bail, allowing you to return home to your friends and family. Many bail bonds agencies are also flexible when helping you secure your surety bond, providing flexible payment plans that meet your needs. Should I Pay Bail Myself? Or Hire A Bail Bondsman? Will Immigrants Face Increased Charges Under Trump? Though they are not accepted in all states, property bonds are occasionally used in California. With a property bond, the full rights to your property are used as collateral for your release. Though many different types of property can be used, real estate is most common. Property bonds can be useful if you don’t have the cash on hand to secure bail, but they take time to obtain. With cash bonds and surety bonds, you can be released from jail within a couple hours at the most. But a property bond is handled directly with the court, and requires an assessment of your property’s value as well as a court hearing to confirm the bond agreement, meaning it can take a few weeks to secure. Immigration bail bonds are special bonds used for undocumented immigrants in the United States. They have differing criteria based on the immigrant’s legal status in the country, and can be pretty difficult to secure. As such, you’ll want to hire a bail bondsman experienced with immigration bonds, and perhaps consider finding a lawyer for help as well. Thankfully, the team at Armstrong Bail Bonds are experts with these bonds, and have crafted a guide to immigration bail bonds to help you understand these often confusing bonds. If you’ve been jailed for a federal crime you’ll need a federal bail bond in order to secure your release. These bonds can be obtained by using both cash and property, and do not require a bail bondsman. Instead, they are handled directly by the court, just like property bonds. If you’ve been arrested, your best hope is to receive a citation release. These types of bail bonds require no cash or property transaction between you and the court system. A citation release is provided when the arresting officer does not take the suspect to the the local police station, deciding instead to give them a citation that requires their appearance in court on a specific date. Citation releases are usually issued for minor offenses, like traffic violations. And issuing of a citation release is entirely up to the discretion of the arresting officer, and if they decide to take you into custody you’ll need to secure another form of bail bond, even if it’s for a minor crime. A personal recognizance release is a similar form of bail to the citation release. In this case, you will be released from custody after signing paperwork agreeing to appear before a judge for your court date. You will not be charged for this form of bail, though there are fines if you fail to appear for your court date. Recognizance releases are also issued based on the discretion of your arresting officer, though you can fight for them in court. However, the cost of hiring a lawyer to ensure your recognizance release can actually be more expensive than securing a surety bond from a bail bondsman. The world of bail bonds can be difficult to navigate, but thankfully Armstrong Bail Bonds is here to help. We’ve been in the bail business for over 90 years, providing fast and affordable bail bonds services in Los Angeles, Orange County, and San Diego. For more information on our bail services, contact Armstrong Bail Bonds today.